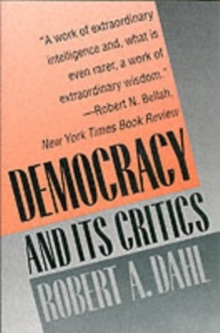 Robert A. Dahl, one of the world's most influential and respected political scientists, has spent a lifetime exploring the institutions and practices of democracy in such landmark books as Who Governs?, On Democracy, and How Democratic Is the American Constitution? 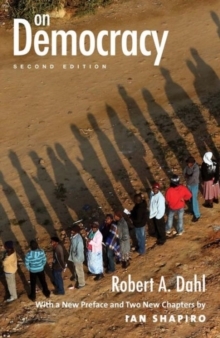 Here, Dahl looks at the fundamental issue of equality and how and why governments have fallen short of their democratic ideals. 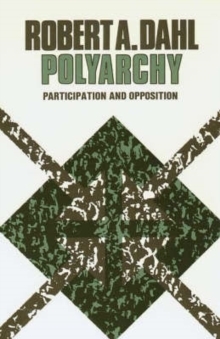 At the center of the book is the question of whether the goal of political equality is so far beyond our human limits that it should be abandoned in favor of more attainable ends, or if there are ways to realistically address and reduce inequities. Though complete equality is unattainable, Dahl argues that strides toward that ideal are both desirable and feasible. He shows the remarkable shift in recent centuries toward democracy and political equality the world over. He explores the growth of democratic institutions, the expansion of citizenship, and the various obstacles that stand in the way of gains in political equality. 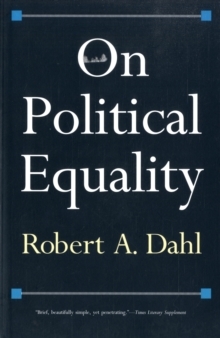 Dahl also looks at the motives, particularly those of emotion and reason, that play such a crucial role in the struggle for equality. 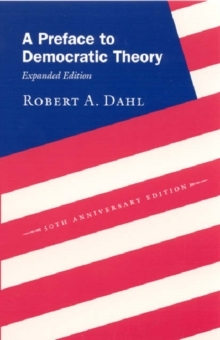 In conclusion, Dahl assesses the contemporary political landscape in the United States. He looks at the likelihood of political inequality increasing, and poses one scenario in which Americans grow more unequal in their influence over their government. The counter scenario foresees a cultural shift in which citizens, rejecting what Dahl calls "competitive consumerism," invest time and energy in civic action and work to reduce the inequality that now exists among Americans. Pages: 160 pages, 5 b-w illus.